It’s finally here… Release 3 in the Rare Casks series!! We’re delighted to reveal the cask selected as Release 3 in the Rare Casks Series is Ben Nevis, a beauty of a dram from the Highlands of Scotland. Distilled in 1997 and aged for 16 years in a single sherry hogshead, the whisky has been bottled at natural cask strength and only 96 bottles have been filled and made available. 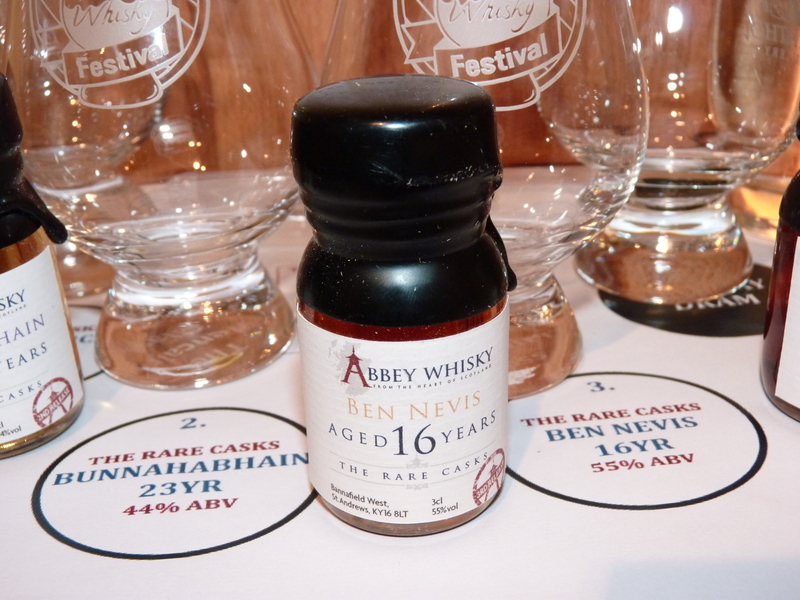 Excited to try Ben Nevis Distillery expression as this was another of the Abbey Whisky Rare Cask series which was from a distillery new to me. Of the Rare Casks series I have tried this was my least favourite whilst still being a very good whisky. Unfortunately the sherry influence was just a little unbalanced with the beautiful slightly peated Ben Nevis distillate. This was a real shame as there were some spectacular Christmas-inspired flavours concentrated in this whisky that were delicious.